The Marathi word for sour is 'ambat' and thats the origin of the word aamti. 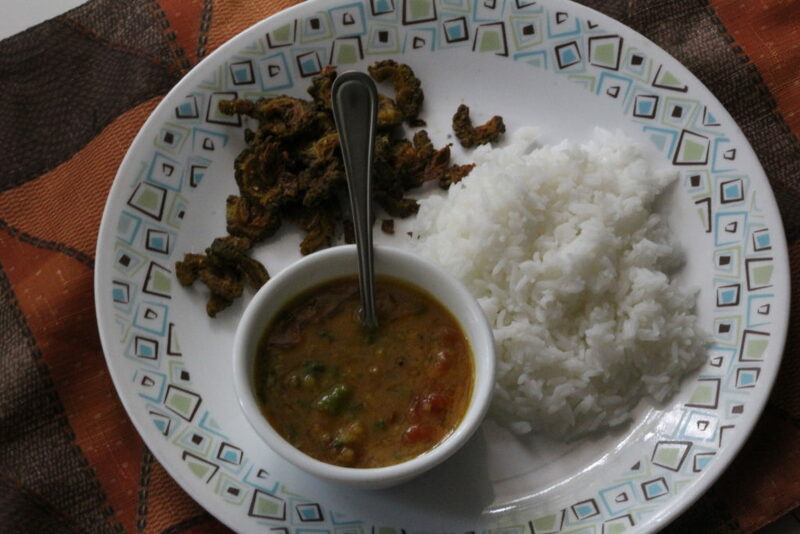 Well, aamti is a dal preparation which is supposed to be slightly sour and sweet. Some like it sour, some like it sweet but both the tastes are strictly required to make it a delectable dish. Prepare the tadka and when the mustard seeds start spluttering, add the other ingredients under tadka and let their flavours seep in the oil for a minute or two. Immediately, then add the chopped tomatoes and let it get cooked for another couple of minutes. Then add the mashed toor dal along with the other condiments of sugar, kokum and salt. Add water to adjust the consistency and let it boil. Finally add the goda masala and again allow it to boil for another few minutes. Switch off the gas and garnish it with chopped coriander leaves. Kindly do not substitute goda masala with any garam masala, for that is the ingredient which imparts that authentic taste to this dish. 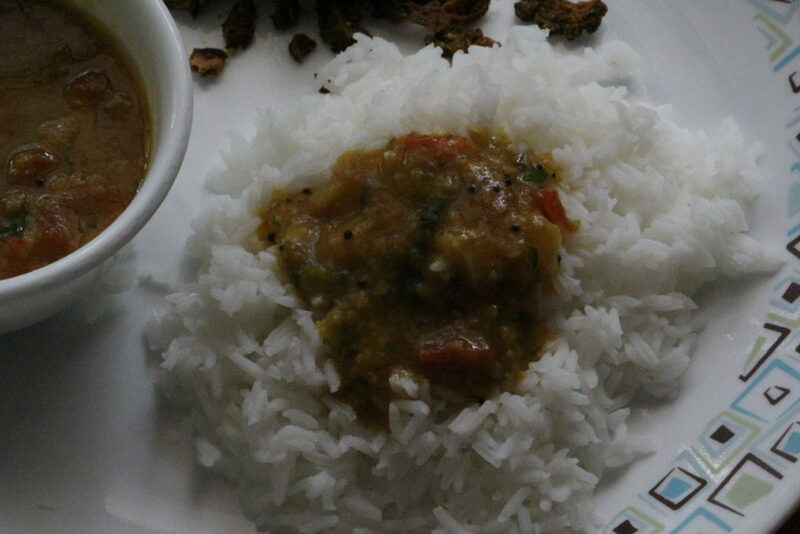 One can add onions, ginger, peanuts to this dal as per their liking. Peanuts when added here should be boiled along with the dal initially. *Make sure the Kokum concentrate has no sugar added to it.